Yang & Chen Tai Chi Schools & Teachers in China. The China Taichi Guide is a Directory of Tai Chi Schools & Tai Chi Teachers in China. Organised Tai Chi schools are starting to appear around China, providing short and long term Tai Chi training for Chinese and International students. The quality can often be very high and these schools provide an opportunity to train intensively in a way which is very difficult to achieve in the West. All of the schools and teachers listed in this section have been personally assessed by the China Taichi Guide and the quality is good. As with all things though, what suits one person may not suit another and each takes different things from the same environment. It is also up to the student to work at getting the most out of what is on offer and this usually means working pretty hard, while not pushing things too much. Chen Zhao Pei started the first Chen Style Tai Chi School in Chen Jia Gou to ensure that the Tai Chi was preserved for the future. Other schools followed there evolving around the most famous teachers. 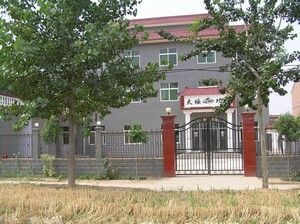 They offer training on a short and long term basis to both Chinese and international students. Outside of Chen Jia Gou, there are a few schools which have been set up to cater for Western students, mainly around Yangshuo which is a pleasant area for people to live. 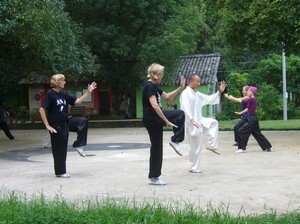 Yang Style Tai Chi is taught very widely in China. There are now teachers in the parks in most cities, but I am only aware of a few organised schools which actively invite international students to approach them. So far not that many Western students have studied long term with the schools or with the resource of high quality teachers scattered around the country, but there is no reason now why people shouldn't do this and hopefully this website will make things easier. Traditionally Tai Chi was not taught in a widespread manner in China and so the concept of a commercial school in which many people learnt in exchange for a fee didn't exist. What did exist was a lineage system, in which a high level teacher accepted students who then formed a long term relationship with the teacher and if they were good enough would later be approved by the teacher to pass on the Tai Chi themselves. The difference might appear subtle but the teacher student relationship is different in the two forms. In the commercial scenario, there is usually less commitment, surrender and patience perhaps. 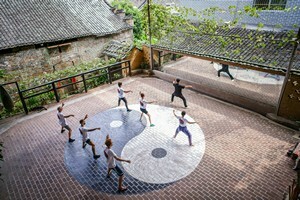 The Disciple System still exists and high teachers may mention it to certain students, but teachers have also formed schools in which Tai Chi can be taught in ways to fit with people's lifestyles in the modern World. Really this is a cultural meeting between the old and new and so requires a little sensitivity. The beginning can seem more commerical, as you 'negotiate a fee' and discuss your 'expectation', but once over, aspects of the disciple system often start to reappear. Nb. Whether this is relevant or not will depend on how traditional the teacher is, but it may be useful to be aware of. One of the most important areas to get clear on before training with a Tai Chi school in China is your expectations. Before you join a school organised by a high level master or grandmaster, you need to find out how much time is likely to be spent training with the master and how much with assistant teachers. The pattern varies between the schools and will vary over time as famous teachers have many duties to perform and may not consider it essential to teach you everyday. So some flexibility is required here from both parties and the relationship will work if expectations have been communicated clearly and there is mutual respect. One student appeared to expect a school headmaster to teach 1-1 everyday on call at a specified time, as if they had 'bought' the teacher. The school tried very hard to keep the person happy but some people's expectations are unrealistic. This doesn't mean that the teacher won't help as much as they can, but how you learn over time is balanced with other demands on their time. You pay to train at the school, not to have 1-1 with the master (although it often happens). If you want this you can ask, but it will come at a high price. 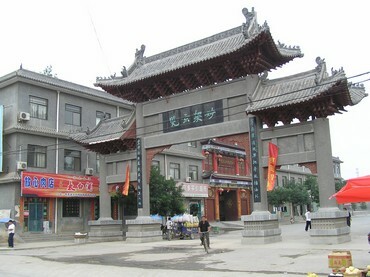 A final issue relevant in Chenjiagou, not Yangshuo, is that at the moment, Western students pay a much higher fee for training with the schools than Chinese students. There is nothing we can do about this, the schools are aware how much their family members can charge when teaching abroad, and so the Western price is international, the Chinese price is local. What I would expect after having paid more is good teaching contact with the master. Receiving an hour a day is good contact! One student thought it wasn't, having been used to a school in Yangshuo, but he was wrong. If you get in one good hour of high quality tuition in a day, it's probably enough. The rest of your time is for digesting that hour hopefully with the support of good assistant teachers, and usually there is no time limit on how long you train. So before attending a school enquire how much the master will be present and available for tuition at the time you plan to visit, and get your expectations clear in your mind. If you get this right, then learning with the Tai Chi schools of China can be an amazing opportunity to develop your Tai Chi and well worth the money spent along the way. The China Taichi Guide : Yang Tai Chi & Chen Tai Chi Schools & Teachers in China - An Introduction to the main Tai Chi Teaching Schools in China providing information to help you find the right Tai Chi School for you.